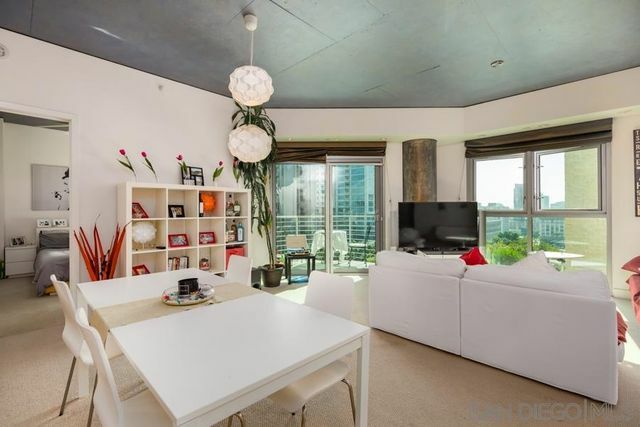 Luxury HighRise Spacious split 2 bedroom 2 bathroom Southern views to downtown and ocean. Granite counters & stainless appliances in kitchen. Master bedroom has large walk in closet along with a soaking tub and stand up shower a real master retreat. Stack wash/dryer in unit. 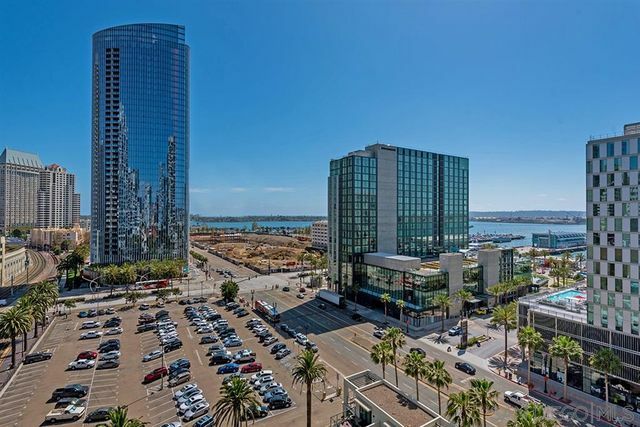 Cortez Hill is away from the hustle and bustle of downtown but close enough walk to Gaslamp, Petco, Little Italy. . Unit also includes storage located next to parking space. FHA and VA approved! BRING OFFERS! 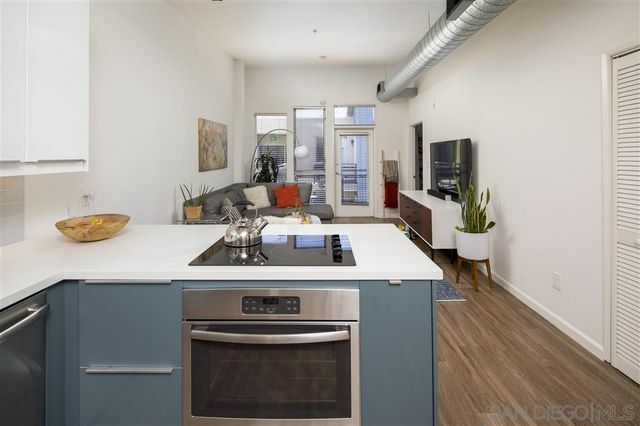 Stunning open floor plan loft in the heart of San Diego's historic Gaslamp district. 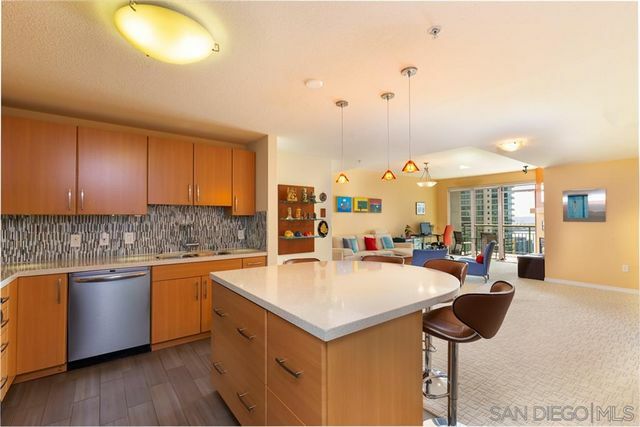 This unit features modern kitchen cabinetry, quartz countertops, stainless appliances, glass tile backsplash, peninsula bar-top, plank flooring, designer fixtures and much more. This is a top floor corner unit with extra high ceilings, one shared wall, excellent natural lighting, and balcony overlooking a lush courtyard. 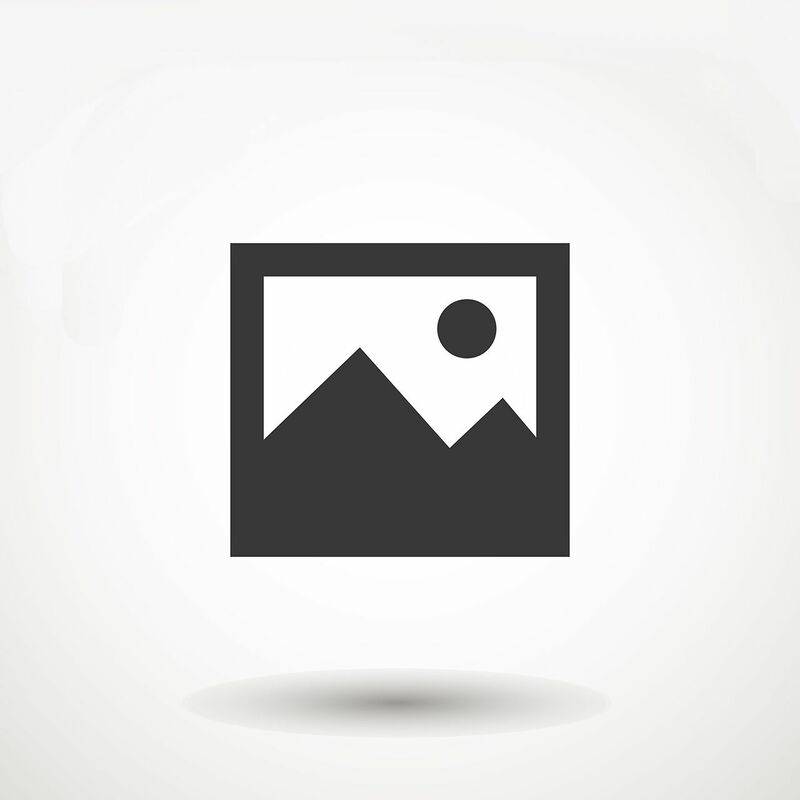 Garage parking, fitness center and low HOA dues. Enjoy resort style living at the iconic Harbor Club! 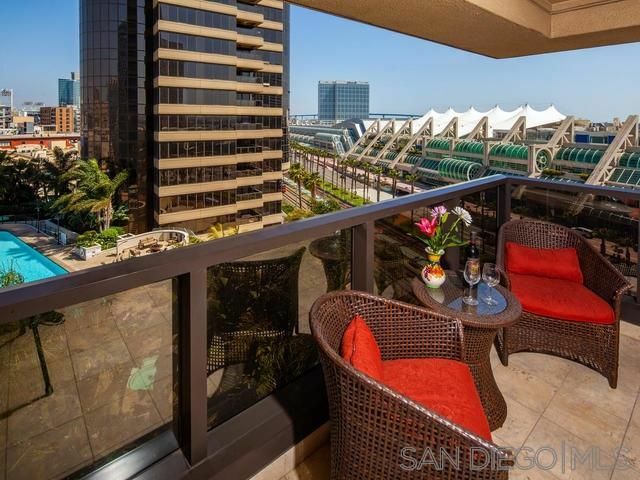 One of San Diego's most sought after Marina District high-rise locations. Breathtaking panoramic views of the city and bay. 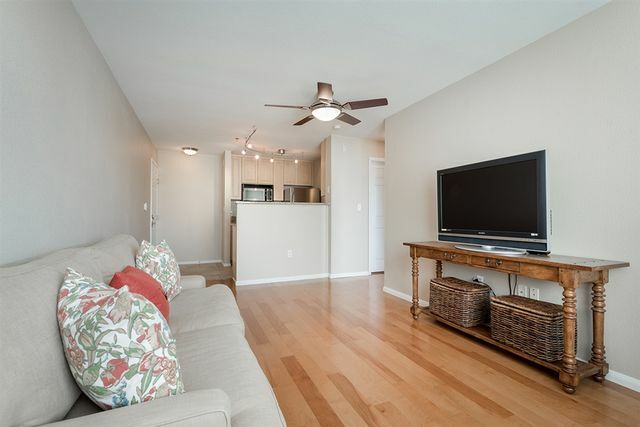 This executive style condo has many upgrades to include an updated kitchen, built in custom storage cabinetry in living room, travertine tile flooring and even a built-in Murphy bed for guests. Walk to the Marina, Museums,Theatre, Petco Park, Gaslamp district, Seaport Village and Convention Center. 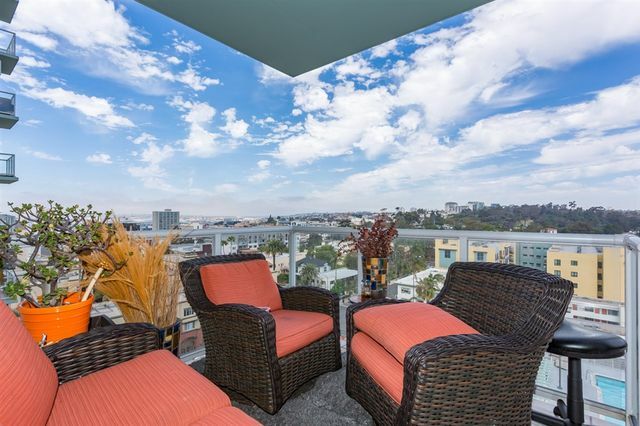 Brilliant city, bay, and ocean views are yours from this immaculate, southeast corner residence on the 12th floor of the Grande South. Revel in rich Brazilian cherry wood floors, a large balcony, ambient fireplace, 2 great parking spaces next to the elevator, and a beautiful kitchen with high-end stainless appliances and exotic granite counters/backsplash. The master suite offers sunrises over the mountains and city, plus a walk-in closet and en-suite bath with a walk-in shower and a dual vanity. Spectacular west-facing panoramic views can be seen from every room in this designer-painted two-bedroom, two-bath condo, just steps away from Little Italy. The living room balcony is sure to become that favorite spot to take in morning coffee or end the day with a glass of wine, enjoying the above-it-all vantage point. The Treo community has it all...third floor pool with hot tub, built-in BBQs, exercise room, clubhouse, secured entry, and reception desk. Unit comes with two side-by-side parking spaces. Wonderful location in the Marina District. Welcome home to your top floor two story townhome. Enter into the great room style spacious floor plan.Guest bath downstairs. Wood flooring throughout the home, kitchen and baths tiled. Upstairs features your sunny bedroom with adjacent large loft/office, with a Murphy bed for guests, and lovely balcony. Some of the lowest HOA's downtown. Walkability factor is a 10! The Embarcadero, Seaport Village, restaurants, theaters, & shopping minutes away. 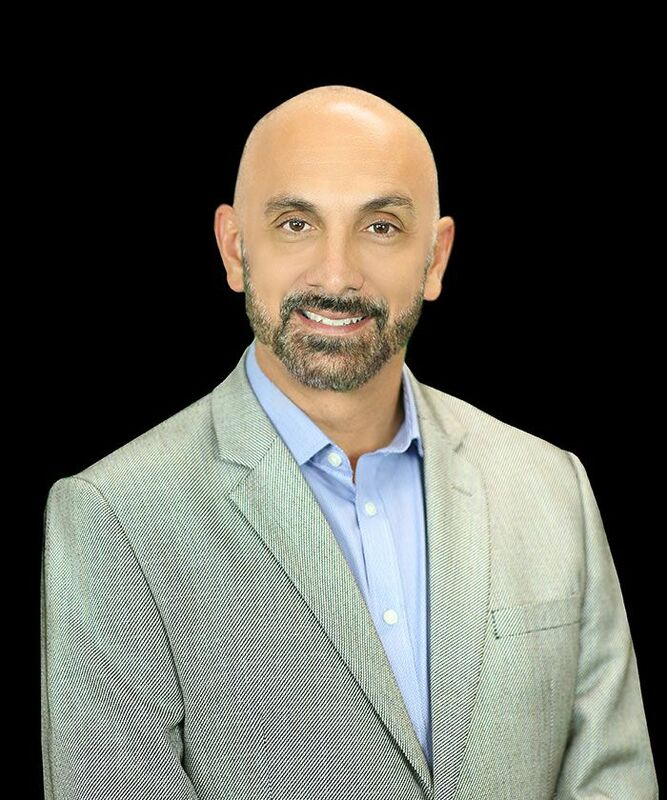 NEW construction trendy units in the heart of the City. Walk to Little Italy, be where all the action is!! 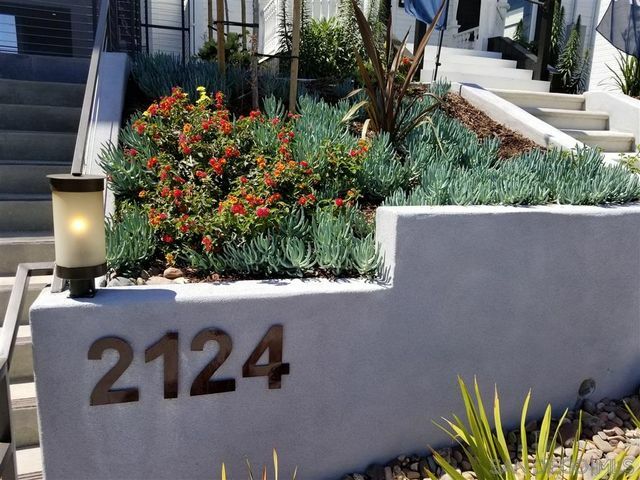 Close to Balboa Park and downtown. High end finishes will not disappoint. Bright natural light flows through this beautifully upgraded Porta D’Italia corner residence on the fourth floor with west-facing city views. Enjoy engineered wood floors, track lighting, a breezy ceiling fan and built in desk space in the living area, neutral paint tones, plus a stainless steel and granite kitchen. The spacious bathroom offers stacked in-unit laundry and easy-to-maintain tile floors. This unique property shares only one wall and presents a larger than average floor plan for the building.